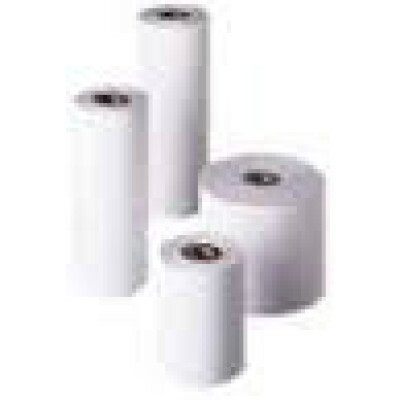 Datamax-O'Neil Apex 4 Receipt Paper - Big Sales, Big Inventory and Same Day Shipping! Duratherm Receipt, Premium-grade paper for the Apex 4/S4100THS, 4.375" x 97', 0.4" core, 2" outer diameter. 50 rolls/case. Duratherm Receipt, Standard-grade paper for the Apex 4/S4100THS, 4.375" x 104', 0.4" core, 2" outer diameter. 50 rolls/case. Receipt Paper, Image Protect grade paper for the Apex 4/S4100 THS. 4.375" x 72', 0.4" core, 2" outer diameter. 50 roll case. Receipt Paper, Hi Temp grade paper for the Apex 4/S4100 THS. 4.375" x 72'', 0.4" core, 2" outer diameter. 50 roll case. Standard-grade paper for the Apex 4/S4100THS, 4.375" x 104', 0.4" core, 2" outer diameter. Single roll. Duratherm Receipt, Long Life-grade paper for the Apex 4/S4100THS, 4.375" x 103', 0.4" core, 2" outer diameter. 50 rolls/case. Receipt Paper, Heavy Duty grade paper for the Apex 4/S4100 THS. 4.375" x 71', 0.4" core, 2" outer diameter. 50 roll case.